Russell Wagner began his forty-one year relationship with the cello in the Lexington, KY public school music program with Joseph Pival. Through the dedicated effort of teachers Rodney Farrar, Lyle Wolfram, Ben Bechtel, Jack Kirstein, Lynn Harrell, and Lee Fiser he earned a cello performance degree from the College Conservatory of Music at the University of Cincinnati. As a founding member of the early music group Musica Camerata, he toured throughout the midwest making appearances with the Cincinnati Symphony Orchestra and on The Prairie Home Companion Show. From an early age, Russell discovered a love and talent for woodworking, and was soon performing all necessary work on his own instruments. In 1975, under the tutelage of Lawrence LaMay, he began his journey as a restorer of fine stringed instruments. 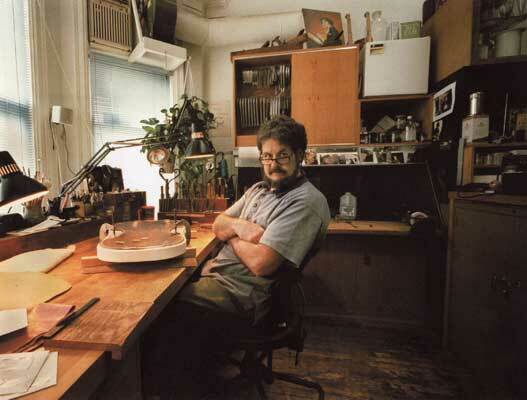 He began an apprenticeship with William Webster at Bein and Fushi in 1982. There he remained for twelve years becoming head of cello restoration, working with and learning from John Becker, John Bowen, Adam Crane, Michael Darnton, David Haislip, Dan Hendricks, Benjamin Schroeder, Ulrich Seitz, Andrew Carruthers, and Marilyn Wallin. This was a rich working environment of talented, innovative individuals, directly linked to the major violin restoration shops at venerable American and European firms, past and present. During this exciting period, many of the world's greatest instruments passed through the Bein and Fushi workshop, and Russell developed a large clientele of cellists including touring soloists, musicians of the major symphonies, chamber musicians, cellists in academia, and dedicated amateurs. In 1994 Russell opened his studio, Chicago Celloworks, where he continues his endless pursuit to become a better restorer of stringed instruments. In recent years, he has revived his interest in the viola da gamba, and has become a frequent performer in Chicago’s early music community including appearances with The Newberry Consort, Bella Voce, The Forces of Virtue, The Second City Musick, and the Catacoustic Consort.